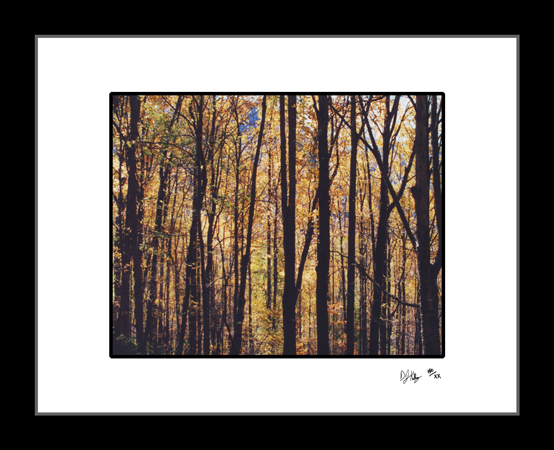 The vibrant yellows and oranges are abundant during the fall leave season in the Smoky Mountains National Park. In this photograph the bright yellow leaves and the blue sky contrast with the straight dark trunks of hemlock trees in the Greenbrier area of the park. The bright colors will brighten any room throughout the year, not just in the fall when the mountain landscape changes color.